"Our animals are 'pros' when it comes to parties and special events- always decorated to compliment, our llamas can easily handle all ages, and any size of crowd! More than just “entertainment”, we provide a unique interactive experience for your guests, that most have never experienced before, and smiles that will last forever!" 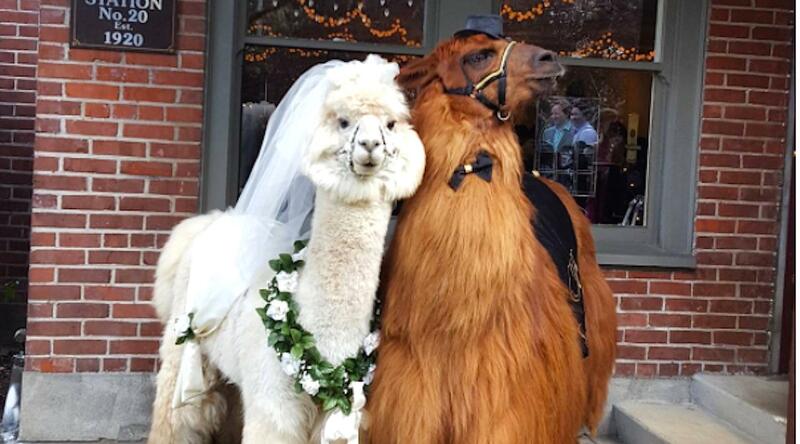 Honestly, having a llama at the wedding may actually be the first compelling reason I've ever seen to get married. And because they're trained therapy animals, they're perfect for stressed out brides and grooms everywhere. Give a llama a hug before you walk down the aisle and you'll say your vows smiling.